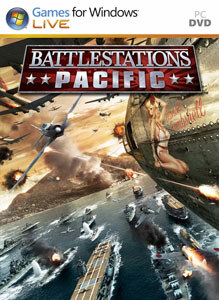 Battlestations: Midway follows the story of naval recruit Henry Walker, whose first assignment as a gunner at Pearl Harbor is the starting point of an incredible career at the heart of the US Pacific Fleet in 1942, in what was to become one of the most inspirational military campaigns in history. For the first time, relive the intensity of massive .. Play as one of eight "emotions" as you race to collect pellets and score goals. Love it? Hate it? Does it make you angry? Does it calm you down? Feel the energy of powerful emotions as you compete amongst your opponents to master the unique sport of Geon: Emotions. What/'/s your strategy going to be? Will you choose to spread fear .. Wear the suit of the ultimate assassin, you have the ability to blend into plain sight, kill with your bare hands and fashion a weapon from almost anything. You are Agent 47, the world/'/s deadliest assassin. The fifth game in the multi-million selling franchise showcasing IO/'/s new Glacier 2 game engine. Hitman Absolution for PC, Xbox 360 a..
Get ready, set, go! Summer Athletics brings the action and excitement of the 26 most popular summer sporting disciplines right into your living room! The charming 3D comic style and varying levels of difficulty makes Summer Athletics great fun for the whole family. Become fully immersed in the sporting atmosphere with vibrant visual effects an..
Eidos/'/ comic book-inspired action title follows the caped crusader as he takes on the Joker and other supervillains in the titular madhouse. [ul][li] Face off against Gotham/'/s greatest villains including The Joker, Harley Quinn, Victor Zsasz and Killer Croc[/li] [li] Become the Invisible Predator with Batman/'/s fear takedowns and unique.. Puzzle Arcade is the online jigsaw game with a twist! With so many jigsaw puzzles at your fingertips, you can play in multiple modes and challenge yourself differently every time. Become Master of the Jigsaw Universe all by yourself or play alongside friends. The possibilities are endless in Puzzle Arcade. [ul][li] [b]Puzzles galore[/b]: M..
A flawed mercenary and a medicated psychopath forced together on a violent and chaotic path seeking redemption and revenge. 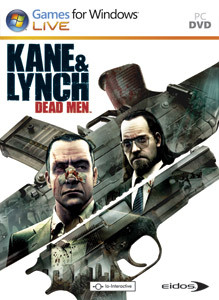 [i]Kane & Lynch: Dead Men - Games for Windows[/i]..
A hero/'/s descent to the core of the criminally insane. 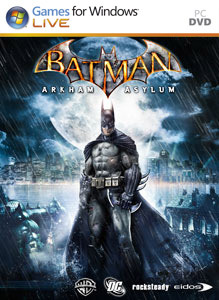 [i]Batman: Arkham Asylum - Games for Windows[/i]..